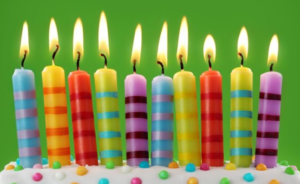 Happy Birthday, Colorado Independent Ethics Commission! Ten years ago voters in Colorado approved a citizen-initiated measure—Ethics in Government—aimed at enhancing the public’s confidence and preserving the public’s trust in government officials and employees by imposing gift bans on state and local government officials and employees, limiting gift-giving by professional lobbyists, and restricting certain public officials’ post-public-service employment. Effective December 31, 2006, the measure became Article XXIX of the Colorado Constitution, but among those folks who are subject to its ambitious restrictions, it is simply referred to as “Amendment 41,” the number it bore on the 2006 ballot. 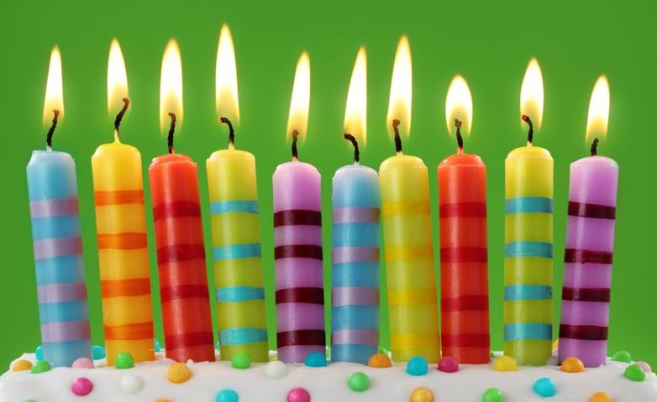 We hear and read a lot about Amendment 41’s gift bans, but far less about another essential component of Amendment 41: the “independent ethics commission,” also established by the measure and now celebrating its 10th birthday. Intended to be completely independent of all three branches of government, the independent ethics commission, or IEC, is composed of 5 volunteer members, one each appointed by the Colorado Senate, the Colorado House of Representatives, the Colorado Governor, and the Chief Justice of the Colorado Supreme Court. These 4 commissioners appoint the final member of the commission, who must be a local government official or employee. The constitution contemplates that the commissioners serve staggered 4-year terms. But over the IEC’s short history, at least one commissioner served a shorter duration—departing after just 6 months of service—and another served more than 4 years until her successor was selected and appointed. Not surprisingly, finding a qualified individual willing to serve for free on a commission that meets at least monthly and that undertakes the thankless work of investigating complaints against public officials and government employees can be challenging for the appointing authorities. To further complicate matters, but more importantly to preserve bipartisanship, Amendment 41 directs that not more than two commissioners may be affiliated with the same political party. This June the terms of both the state Senate’s appointee and the Governor’s appointee will expire, and the composition of the commission will change once again. The IEC is charged with hearing complaints against public officers and other state and local government officials and employees who are alleged to have violated the terms of Amendment 41 or some other standard of conduct or reporting requirement established in law. Discerning which of those standards and reporting requirements the commission has jurisdiction to enforce, however, is not a simple task, as the commission has already learned. The Colorado Supreme Court has agreed to hear the case of Gessler vs. Grossman, et al, 15SC462, (see p. 8) to address this very issue. As part of the complaint process, the IEC must issue findings and assess penalties (Amendment 41 authorizes fines that are double the amount of any benefits realized as a result of wrongdoing) if the commission determines that the public official or employee has breached the public trust for private gain. However, individuals whose conduct is under the IEC’s scrutiny may find that the public nature of the process is more punitive than the threat of any penalty. The IEC’s proceedings are subject to the Colorado Sunshine (open meetings) Law and the Colorado Open Records Act. Also, public interest groups typically attend the IEC’s meetings and tweet highlights of the commission’s discussions. And the IEC is currently working to begin live audio broadcasting of its proceedings in real time. But the IEC has an equally, if not more, important role as an advisor, consultant, and instructor on ethics-related matters. The constitutional amendment directs the IEC to provide advice to individuals who are subject to Amendment 41 and are facing ethics dilemmas arising under the amendment or another standard of conduct or reporting requirement. Over the years, the IEC has issued dozens (approximately 124 to date) of topic-specific opinions to help guide the behavior and conduct of public officials and employees. Included in these opinions are many position statements that the IEC has periodically issued in an effort to alleviate uncertainty and provide its interpretation of the sometimes confusing and often ambiguous language of Amendment 41. Anyone who is interested in requesting an advisory opinion from the IEC must realize that timing is critical. Submissions must comply with the IEC’s internal procedural rules, which require that requests be in writing and delivered to the IEC at least 10 days before its next meeting. In most circumstances, the IEC will issue its opinion within 30 to 60 days after receiving the request. The IEC also conducts helpful public outreach. It has published an Ethics Handbook and the executive director of the IEC—the commission’s only paid staff—has historically conducted training for government agencies and offices.